Coffee shop without the overhead. Move to your permanent location or use for events! 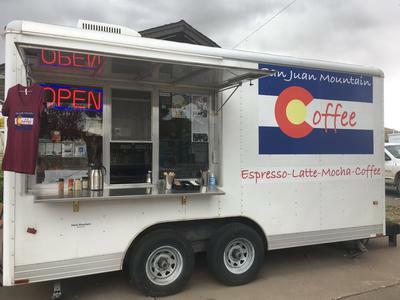 Full service espresso, drip, tea, coffee trailer for sale. 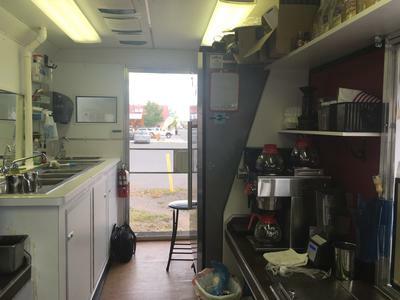 2003 Wells Cargo 16' x 8' concession trailer with two awning-covered service windows, three compartment sink, handwash sink, full size refrigerator, chest freezer, 3 group Nuova Simonelli Aurelia volumetric espresso machine, La Marzocco auto-grinder/tamper, commercial Blendtech blender, Curtis commercial drip coffee maker, Bunn grinder, ice well, pastry container, plus all small wares needed for running shop. 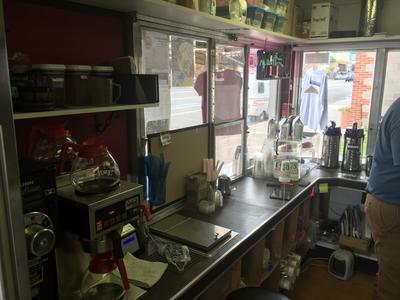 Plenty of counter space, shelving and cabinets for storage, air conditioner, locking windows and doors, new hot water heater. Trailer is self-contained for mobile or stationary service. 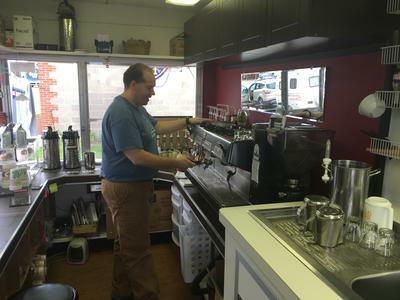 Comes with a stock of syrups, teas, smoothie mixes, can provide coffee and training for additional cost. Willing to consider delivery depending on distance. Please text 7195885536 or email kingandspike@hotmail.com if interested.